Enjoy a two-night mini cruise sailing with Stena Line from Liverpool Birkenhead to Belfast. You'll have a full day to explore the many attractions, restaurants, bars, and shops Belfast has to offer. 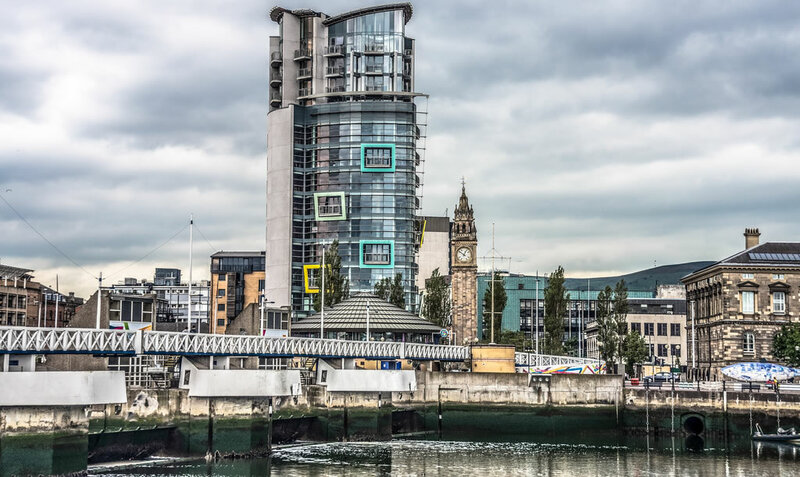 Unlike Continental European mini cruises this sailing allows you up to 14½ hours in Belfast so you'll have plenty of time to explore many aspects of this interesting city. You'll depart Liverpool Birkenhead terminal at 10.30pm and sail overnight. Arrive in Belfast at 6.30am where you are free to do whatever you wish. Visit Titanic Belfast to discover more about the famous ship. Head into the city centre for some retail therapy. Choose from a huge range of cafes, restaurants, bars and pubs and enjoy an Irish breakfast, perhaps a quick lunch and a fancy dinner. Head back to the ferry terminal to catch the return sailing that departs at 10.30pm. You'll arrive back in Birkenhead at 6.30am. The fare includes a return mini cruise to Belfast for foot passengers. It also includes two nights accommodation in an en-suite cabin. Return coach transfers to and from Hamilton Square Station in central Liverpool to Birkenhead terminal are also included. Transfers to and from Belfast are not included so you'll need to catch a local bus or taxi into the city centre to avoid the one hour walk. You'll also receive two £5 shopping vouchers to use on-board. Prices are from £79 per person based on two travelling or from £49 per person based on four travelling. You can book to sail from Liverpool on any Sunday, Monday, Tuesday or Wednesday, until 14 December 2016.